HR, KM, MR, MSK and TG designed the report. MC, HR, KM, MR, MSK and TG analyzed and evaluated the clinical data and wrote the manuscript. HBR, MZS and MHC analyzed the data. MAA, BJ and MMKS edited the manuscript. Bcillus anthracis, Soil-borne pathogens, Real-time PCR. Throughout history, soil-borne pathogens have had an incredible impact on human and animal health and have shaped the human race and they will continue to do so in the upcoming future (Turnbull, 1999). These infections are of crucial economic value throughout the world both in terms of veterinary and human public health. Anthrax can cause an economic impact of $26.2 billion per 100,000 persons exposed (Kaufmann et al., 1997; Batool et al., 2017). Anthrax has been seen in all warm blooded animals and it is primarily a disease of herbivores, however cattle and sheep are more susceptible and goats and horses seem to be relatively tolerant (Radostits et al., 2010; WHO-OIE-FAO, 2008). The disease is one of the main causes of cosmopolitan uncontrolled mortality of animals (WHO-OIE-FAO, 2008). The etiologic agent is found both in vegetative form and spores, the later are highly resistant to physical and chemical agents (WHO, 2001). Generally soil conditions for B. anthracis survival are reported as humus-rich, alkaline soils with pH 6.0 across the steppe and grassland soils (Hugh-Jones and Blackburn, 2009). Outbreaks are suggestive of strong geographical, local environment and climate relationship. B. anthracis can infect animals directly from the soil or from fodder grown on infected soil indirectly (Radostits et al., 2010). Despite the strict biosecurity and national control program, anthrax still sprouts though it is a reportable disease in some areas of the world (Hugh-Jones and de Vos, 2002; WHO-OIE-FAO, 2008). The objectives of this study were to; 1) determine the prevalence of soil-borne zoonotic pathogens B. anthracis, in soil samples collected from villages of Punjab province, and 2) identify risk factors associated with the presence or absence of the pathogen in the soil. 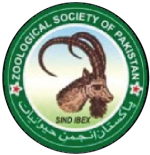 It is anticipated that the findings of the study will provide the required information to undertake rigorous epidemiologic investigations focused on prevalence and distribution of soil-borne zoonotic pathogen B. anthracis in humans and domestic animals in Pakistan. A total of 1985 soils samples from 397 villages of District Gujranwala, Faisalabad, Sargodha, Sahiwal, Dera Ghazi Khan, Chakwal and Attock were collected. Soil sample (250-300 g) was collected from 3 inch below the soil surface and stored at room temperature (25°C) for further analysis. In our study, real time PCR (qPCR) was the test of choice for because culture-based methods for highly dangerous pathogens B. anthracis requires a high biosecurity laboratory facilities (BSL-3 and above) and trained personnel to handle highly contagious pathogens with bio-risk threat. Secondly qPCR is highly sensitive (97%) and specific as compared to conventional PCR, and this method also allows simultaneous examination of several samples with high throughout with significantly fast turnaround time (Christensen et al., 2006). This method has been recommended in previous studies to confirm B. anthracis (Klee et al., 2006). Out of a total of 1985 soil samples, three (0.15%, 3/1985) were positive based on CT value for B. anthracis Plasmid gene (CapB) and four (0.20%, 4/1985) were positive based on CT value for B. anthracis Plasmid gene (PA). No soil sample was detected positive for B. anthracis plasmid DNA (PA and CapB genes) from Gujranwala, Faisalabad, Sargodha, Sahiwal, and Dera Ghazi Khan District. From Chakwal District, one samples (1/190, 0.53%) was detected positive for B. anthracis plasmid DNA (PA). It was collected from Narwal village of Chakwal District. In Attock District, 6 samples were positives for B. anthracis plasmid DNAs (PA and CapB). Three samples (3/225, 1.33%) were detected positive for B. anthracis plasmid DNA (PA), which were collected from Achral, Kotkey and Gharibwal villages of District Attock and 03 samples (1.33%) were detected positive for B. anthracis plasmid DNA for CapB, and they belonged to Kaak Chaudhry, Dhoke Milan and Ikhlaas villages. All positive samples for B. anthracis plasmid DNA (PA) and B. anthracis plasmid DNA (CapB) were from different sample. None of the single positive samples contained both plasmids. B. anthracis has been reported from northern Punjab i.e. Chakwal and Jhelum Districts, where sporadic cases do happen in monsoon season (Shabbir et al., 2015). Previously the prevalence of B. anthracis Plasmid gene (CapB) was reported to be 37.9% (11/29) in different villages of Lahore District (Shabbir et al., 2015), which is higher than other districts in current study. In a study (Ashraf et al., 2014) also reported Anthrax in camel in Cholistan but that study relied on clinical signs for diagnosis. Many factors e.g. climate condition like hot and dry weather, floods, wet pastures, vegetation, and high animal density could result into persistent anthrax infections and subsequent outbreaks (Epp, 2010). Another study was conducted in Zimbabwe and they reported prevalence of B. anthracis as 11.1% (Chikerema et al., 2012, 2013) in soil samples. This high prevalence could be due the reason that they collected samples from high-risk animal carcass burial sites, while in current study normal locations were selected without any previous history of burial. B. anthracis contains two virulent plasmids: pXO1 (181.6 kb), carrying genes coding for toxins (pag, lef, and cya) and pXO2 (93.5 kb), which carries the genes for capsule synthetic enzymes (capB, capC, capA, and dep). Capsule of B. anthracis is mainly responsible for its pathogenicity through anti-phagocytic activity leading to the production of a toxic complex consisting of three proteins known as protective antigen (PA), lethal factor (LF), and edema factor (EF). For full virulence and pathogenicity of B. anthracis, pXO1 and pXO2 plasmids are essential; elimination of either dramatically attenuates the virulence of B. anthracis (Fasanella, 2013). In our study, DNA plasmid of B. anthracis that encodes for capsular gene (pXO2) and the plasmid for protective antigen (pXO1) were identified in samples but they belonged to different samples. These plasmids were not detected together from the same positive sample rather different plasmids from different samples. Hence it may be concluded that non-virulent type of B. anthracis is present in soil samples from Attock and Chakwal districts and could perhaps explain the lack of any documented evidence of anthrax cases in humans and animals. The risk factors associated with soil borne B. anthracis plasmid DNA (CapB, and PA) were presence of domesticated animals, distance between the sampling site and animal market, main road and water source, animal density and the number of households in the village, which were evaluated to determine association with the prevalence of B. anthracis plasmid DNA for CapB at the sampling site. None of the risk factors were associated with B.anthracis plasmid DNA (CapB and PA) in the soil sample. Though ORs were calculated for positive samples, but associations were non-significant (Table I). 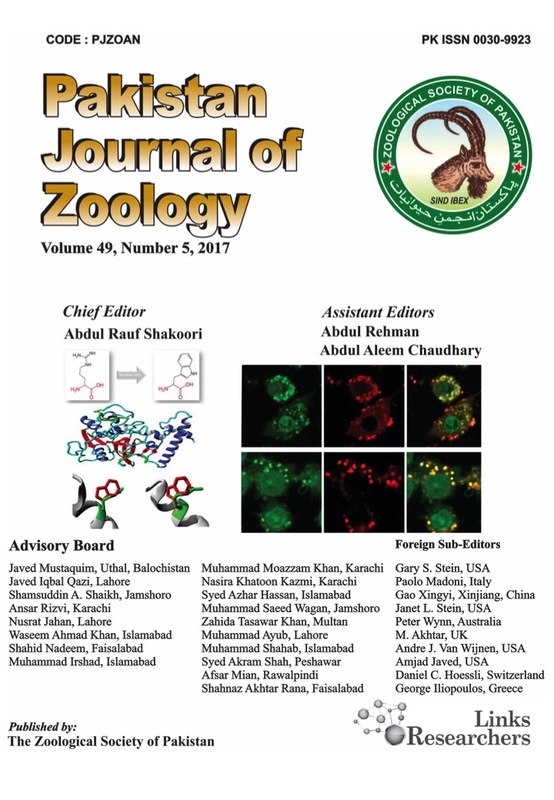 Data showed that the distances of Achral, Kotkaybarzai and Gharibwal villages, Attock District, from where the positive isolates of B. anthracis plasmid DNA (PA) (40-04092013-Atk, 110-06092013-Atk, 212-11092013-Atk) were collected, respectively, were 1 km close to from market, and 500 meters close to from main road, while they were more than 500 meters away from drainage system. These villages contained less than 1000 animals population while household number was more than 300. Similar the sites in Kaak Chaudhary, Dhoke Milan, and Ikhlaas villages in Attock District, from were positive isolates of B.anthracis plasmid DNA (CapB) (66-05092013-Atk, 201-10092013-Atk and 222-11092013-Atk) collected, respectively, were 1 km close to from market, and 500 meters close to from main road, while they were more than 500 meters away from drainage system. These villages contained less than 1000 animals population while household number was more than 300. However, positive isolates of B.anthracis plasmid DNA (CapB) (16-28032013-chk) from Narwal village, Chakwal District, was collected from site at distance> 1 km from market, > 500 meters from main road <500 meters from drainage system. The animal population of village was >1000 heads, while household number was about 300 households. In current study none of the risk factor was associated with B.anthracis (CapB and PA) DNA plasmid in the soil sample. Similar results were reported by Shabbir et al. (2015) for Lahore District of Punjab. Table I.- Risk factors associated with presence or absence of DNA of B. anthracisin soil samples. Odds ratio could not be calculated due zero cell values in 2x2 table. B. anthracis, a more comprehensive study with a larger sample size will be required to document any association. The results revealed that the likelihood of detecting B. anthracis is higher in areas with high animal and human traffic, and animal markets and slaughterhouses. Effective surveillance program integrated with national and regional laboratory network system is very much needed for early detection of future outbreaks and prevention of emerging zoonotic diseases of public health significance. This work was supported by the Defense Threat Reduction Agency, Basic Research Award No. HDTRA1-10-1-0080 to the Pennsylvania State University, USA (Prime Awardee) and University of Veterinary and Animal Sciences, Lahore Pakistan (Subcontract Awardee). Batool, B.T., Aemal, T., Shahjahan, S.A., Hira, E., Mohammad, A.K., Syed, A.R., Mohammed, S., Zafar, A., Mohammad, M.T., Mohammad, A.A. and Muhammad, N.S., 2017. 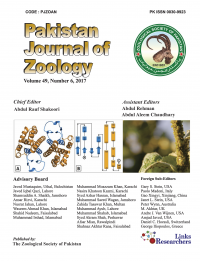 Pakistan J. Zool., 49: 387-389. Epp, S.S., 2010. Discrete mathematics with applications. Cengage Learning. Radostitis, D.M., Gay, C.C., Blood, D.C., Hinchelift, K.W., 2010. Veterinary medicine: A textbook of the diseases of cattle, sheep, pig, goats and horses, 10th Ed. Saunders, London, pp. 815-820.
WHO, 2001. Zoonoses and communicable diseases common to man and animals, 3rd ed, Volume I. Bacterioses and Mycoses. Washington DC, USA. WHO-OIE-FAO, 2008. Anthrax in humans and animals, 4th ed. World Health Organization Publishing, Geneva, pp. 8.
WHO, 2011. Guidelines for drinking-water quality, 4th ed. WHO Publishing, pp. 227-295.